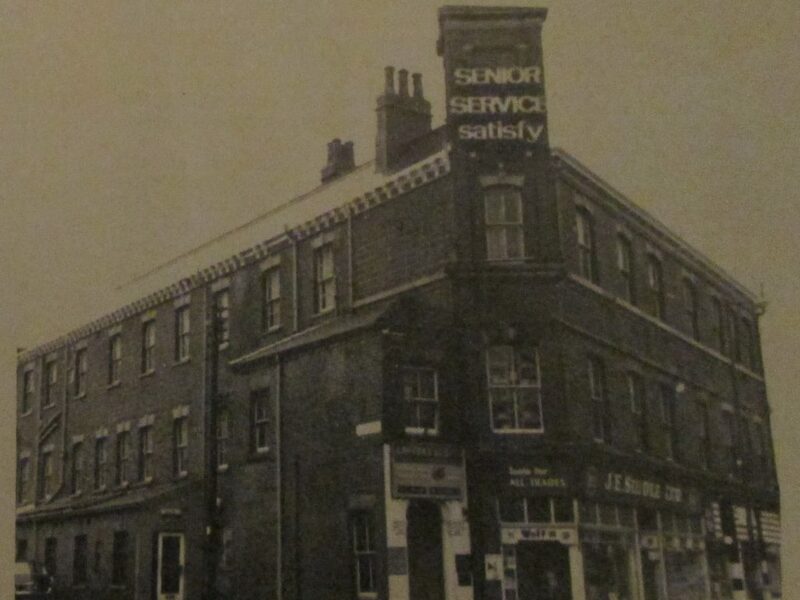 Established in 1957, The Southbank Jazz Club in Dial Square, Grimsby, was a major music venue in the late 1950’s and throughout the 1960’s. In the early years, jazz greats such as George Melley, Chris Barber and Bruce Turner, graced the stage at the Dial Square venue. 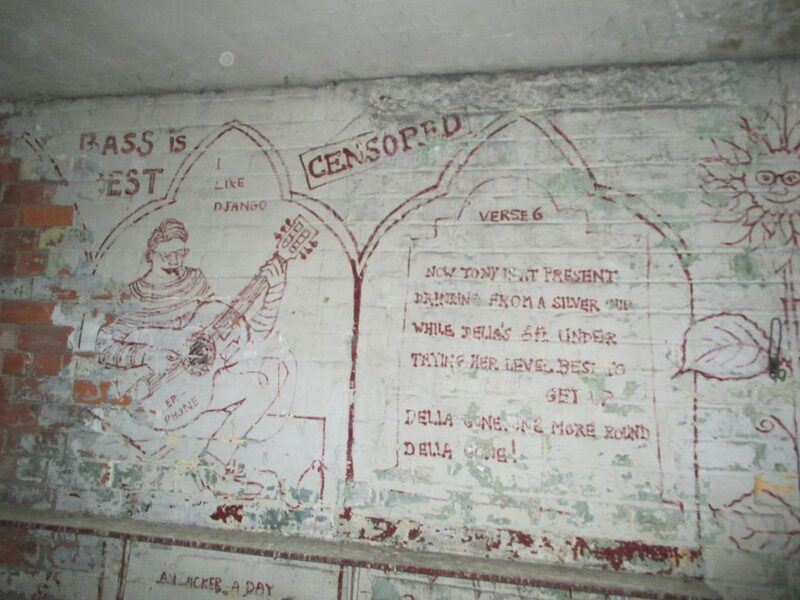 In 1963 it was voted by a poll in Jazz News as Britain’s most outstanding provincial jazz club. One of the last purely jazz gigs at the club saw the appearance of Jimmy Witherspoon, who was joined on stage by local legends, The Leo Solomon Trio. 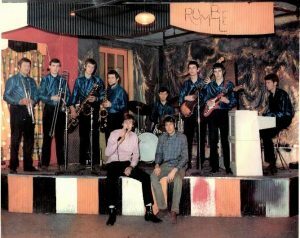 House band, the Southbank Jazz Band, had been renamed The Rumble Band, a name which resonates across the region as being one of the leaders of the music scene in Grimsby. 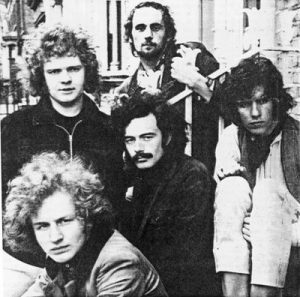 The Rumble Band, originally a 13 piece jazz band , reduced to 10 and in turn became a five piece rock band in 1969. As the blues began to raise it’s profile globally, gradually, the club changed it’s Jazz specialism to include Blues and Rock bands, which eventually became the standard fayre at the venue. From 1966 onwards, bands such as, Blodwyn Pig, Colosseum, Graham Bond Organisation, Keef Hartley Band, Robert Plant & the Band of Joy, Family, Ten Years After, Savoy Brown Blues Band, Chicken Shack and Duster Bennett all gigged at The Southbank, giving rise to a large following in the town. Family appeared several times and were very popular. 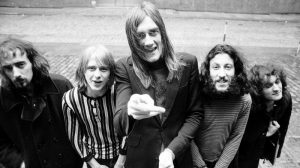 In October, 1968 Fleetwood Mac with guitarists Peter Green, Danny Kirwan and Jeremy Spencer and drummer, Mick Fleetwood made a special appearance. The queue was like a Wes Hall run up, and stretched as far as the Riverhead. These were the types of bands being attracted to this small venue, with an unbelievably tiny stage, hardy big enough for an acoustic trio, let alone a 5 piece rock band with their impressive array of equipment. Roadies must have dreaded being told their bands were going to the Southbank in Grimsby. Carting all that heavy gear up three flights of stairs, and no bar for a pint afterwards, was definitely NOT the norm for a rock music venue in 1968. Legend has it that Edgar and Steve Broughton’s (Edgar Broughton Band), mum was their roadie, and she wouldn’t let anybody near their stuff, insisting on dragging it up and down the narrow stairs to the stage room. Other bands to grace the compact stage room, were, Family, The Nice, Paper Dolls, Groundhogs, Stray, Chicken Shack, Brian Auger & Julie Driscoll, Jody Grind, Free, Stray, Uriah Heep and The Edgar Broughton Band. 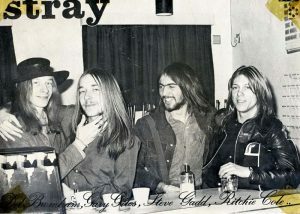 Stray were SO young, it was amazing that they managed to be allowed out at nights. When they formed in 1966, they had an average age of 14 years. Three years later, they were appearing at The Southbank Jazz Club in Grimsby, one of the biggest gigs in the area. Unfortunately, by mid 1970, the club experienced falling attendances as the big name bands started to charge more than the small stage room could sustain. Local bands, Calmen Waters and Intrepid Fox were regular attractions, as were Dust (Louth), Grinnin’ Frank (Scunthorpe). 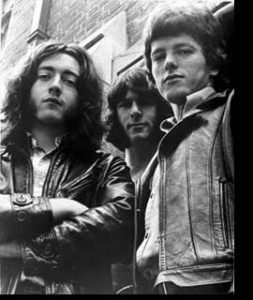 In July 1970, Rumble, now a four piece band, recorded a single at Warner Bros following a recommendation by Fleetwood Mac legend, Peter Green. 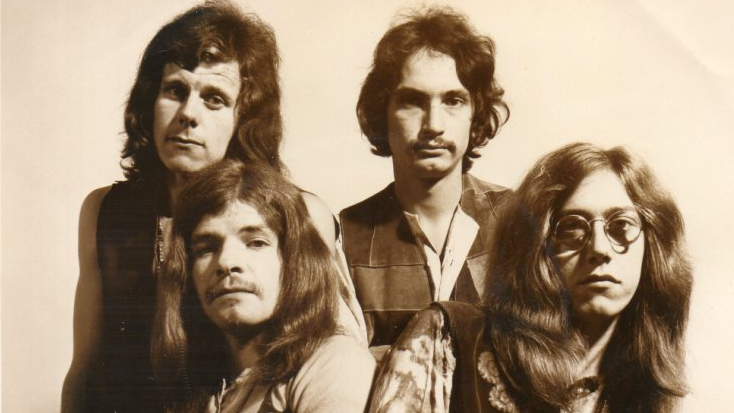 The single, “Rich Man Poor Man” b/w “Bring me down” was not commercially successful, and although demo tracks for an album where recorded, the band, broke and disillusioned, returned to their roots in Grimsby. Picking themselves up, they agreed to a gig at The Southbank Jazz Club, but developments quickly assured that it was to be their last. Long time bass player, Steve Currie, was recruited by Marc Bolan, and he left Rumble to join up with T. Rex. When Rumble folded, (following the departure of Steve Currie to T. Rex), it became more difficult to book even local bands. On top of that, another reason for the rapid decline in attendances was the lack of an alcohol license, which other, larger venues provided. 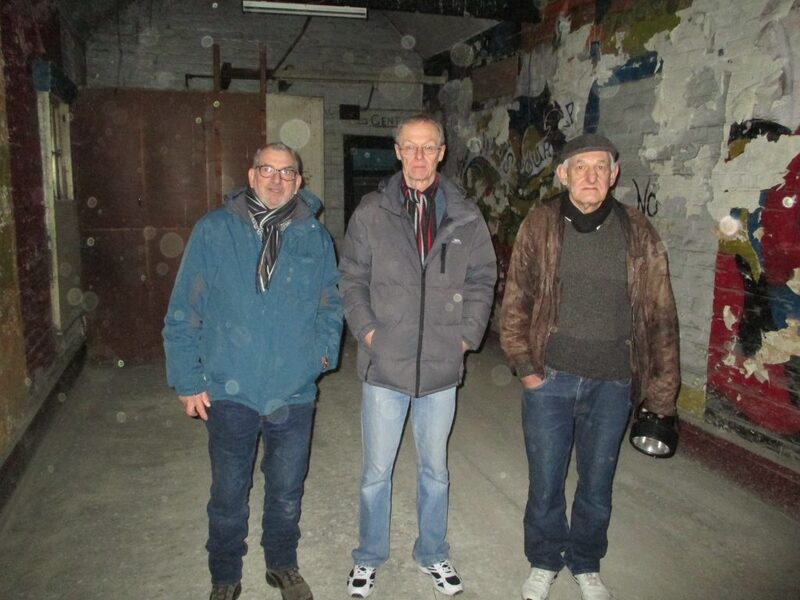 Three former Managers, recently gathered in reunion, visiting the club, and reminiscing about the great bands that were attracted. Catching up after 48 years, Dave Larder (1969-71), Adrian White and Chris Crew (1970/71), were the last custodians of this fantastic venue. They spent a short time visiting the now derelict venue, reminiscing over the great times and bands that crowded onto the small stage. Perhaps most amazing, is the fact that all three were teenagers at the time they ran the club.